Updated: Accidentally published ahead of embargo due to misunderstanding with Sprint. Sprint and HTC are back with a follow-up to last year's smash hit WiMax phone, the EVO 4G. This time around, HTC and Sprint have raised with bar by adding a camera that captures both still photos and video in 3D, plus a 3D display. Are these new features enough to warrant a sequel, or have Sprint and HTC just cooked up gimmicks for you to desire the EVO 3D? Phone Scoop's deep dive will answer all your questions. 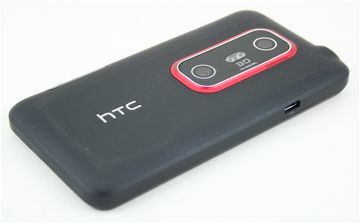 Sprint today announced that both the HTC EVO 3D and EVO Design 4G will be updated to Android 4.0 Ice Cream Sandwich starting in early August. Users will be notified automatically when the update is available to their device. I am now on day 3 of using my Evo3D and have yet to experience any of the problems noted in the article. Call quality has been very clear, and when compared side by side with my Evo4G now on a seperate line of my account I saw no difference in signal strength or connection speeds. If there was a software or hardware issue, it must have been solved. I gave the EVO 3D plenty of credit where it was warranted. The only real negatives are the battery life, call quality, and signal performance. Almost all other aspects of the device are fantastic, and I said that. it's the coverage, not the handset! Read the review on phonearena, they said the call quality and data speed was excellent. They reviewed the handset in Philadelphia where they had great coverage for 3G and 4G. I currently own the EVO 4G. I was really thinking of trading up to the 3D. However, I am disappointed with the results of the review section on 4G and 3G connectivity. This has me rethinking my purchase. My question is, what is the comparison of the 3D and the EVO 4G for signal? Did the tests not prove similar for both? In other words, were the two performed under the exact same tests but with two different outcomes? Here in upstate NY, my EVO has performed with excellence. I will be basing my purchase according to the results of this comparison. I don't have an EVO 4G on hand to do a direct comparison. However, PCMag *did* do a direct comparison with an EVO 4G and also found that the EVO 3D performs terrible with respect to 3G voice quality and data. My result was not unique. I don't think this is a fair review either. From his review, "At my home in NJ, one bar is pretty typical for Sprint." Sounds like Sprint's coverage in his home is spotty already, so any phone won't work as intended in his home. That 2.5GHz frequency WiMAX operates off is more sensitive to obstacles and interference unfortunately. Another huge pocket size computer that does not even work doing its primary job!